I woke up this morning knowing and feeling in every cell of my body that the life I have known is done. I’m at a crossroads, and I knew that India would put me there. I didn’t realize how difficult it would be emotionally. 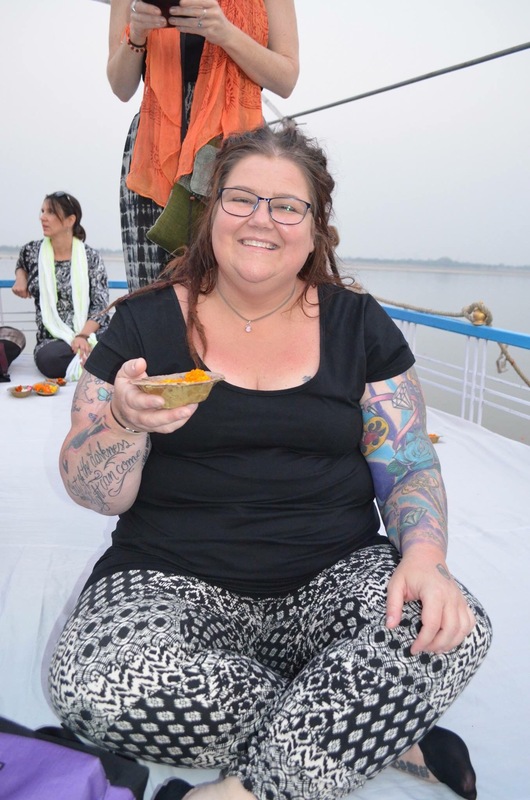 There is a picture of me, sitting on the houseboat on the Ganges. I usually hate photos of myself. That’s why you rarely see any. But India shifted that; I integrated my soul. I like myself. I’m a work in progress, but my photo no longer scares me or horrifies me. I want to look like this and feel like this all of the time. It is possible when you live the life you are supposed to be living, when you choose joy. I woke up, and looked for another job. But I don’t want them. I want to create a totally new life. Originally I gave myself five years, but this morning I realized that the time to act is now. So, this morning my mind has weighed up many options, strategies, ideas. The resolution/realization: sometimes we just need to jump. It doesn’t matter where I end up landing; the first step of jumping is the important one. When I jump, a world of opportunity will open. And, even if I end up in the same location, I will have changed and chosen to be there. At the moment, it’s not my first choice. If I want a different life, a joyous and happy life, it’s on me to create the opportunity for it to exist. I just have to feel the courage to jump. And it really isn’t that difficult. We are all cats; we land on our feet. I really like that picture of you. You look amazing!!! I know hey. I never like photos of myself but in this one!